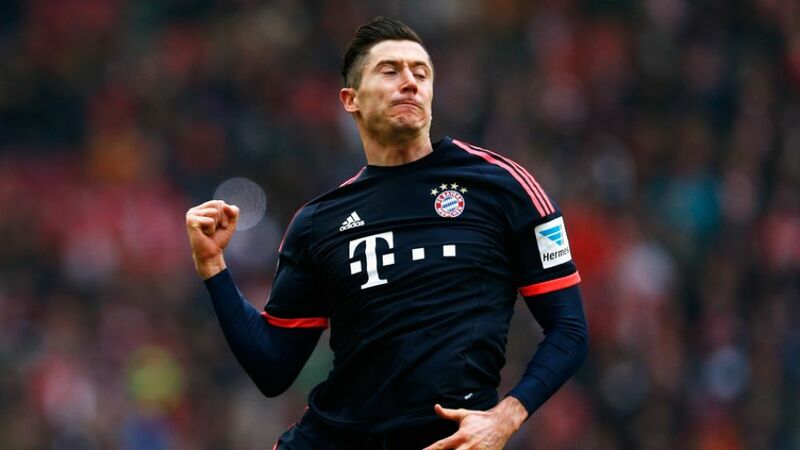 FC Bayern München's Robert Lewandowski set a new club record for most Bundesliga goals in a single season by a non-German as the league leaders got the better of 1. FC Köln at the RheinEnergieStadion. Bayern would have been forgiven for being a shade off the pace following their dramatic extra-time win over Juventus FC in the UEFA Champions League Round of 16 in midweek, but there was no such luck for Köln. Barely ten minutes were on the clock when Lewandowski sent a crisp first-time strike beyond the reach of Billy Goats goalkeeper Timo Horn, the indomitable Poland international’s 25th Bundesliga goal of the campaign taking him past former Bayern striker Luca Toni for most goals by a foreign national in a single season for the Bavarians. Köln did test Manuel Neuer shortly after the restart, but Marcel Risse’s effort never looked like troubling the three-time IFFHS Goalkeeper of the Year. Emboldened the longer the game passed without incident, the hosts did carve out a number of presentable half-chances, the best of which fell to Anthony Modeste, whose goal-bound shot was charged down by Bayern defender David Alaba. Lewandowski and Kingsley Coman spurned late opportunities, before Neuer pulled off a match-winning save to thwart Leonardo Bittencourt at the last. An already superlative-laden campaign just keeps getting better for Lewandowski, whose overall Bundesliga record now reads 116 goals in 188 appearances. The Pole took his first real chance with aplomb in Cologne, and now sits three clear of Borussia Dortmund’s Pierre-Emerick Aubameyang atop the 2015/16 scoring charts. Bayern were not at their best, but they got the win that keeps second-placed Dortmund at arm's length. Lewandowski became the first foreign player on Bayern's books to score at least 25 Bundesliga goals in a single season and, in doing so, surpassed his previous best-mark of 24 (2012/13).The Pole opened the scoring for a joint-league-high sixth time this season.Bayern cannot finish lower than third and are, therefore, guaranteed Champions League football next season.Franck Ribery made his 200th Bundesliga appearance.